What kind of costs are involved when sponsoring one of our teams? usually no more than ten players. Of course as the teams ascend in age, squad-sizes increase too. This means that kit & training wear numbers will increase too and it will cost that bit more money to sponsor the elder teams with squad-sizes of upto 16-17 players. The kit and training wear is purchased from our specified retailer, the kit and equipment chosen by the Club for our players is always of an excellent standard and complete with various recommendations from numerous junior football related organisations. The training range includes waterproofs to help support the kids during the rainy seasons. This training wear is worn by many of our young players outside of the training ground, as they're very much held in high regard by our junior players and considered to be a fashion item. The clothing will be well labelled with your company logo and is incorporated onto the fabric. The exposure for your company with the kits and training wear alone is great for any business, put together with the added exposure on our growing website and the benefits can easily outway the costs - compared to various other methods of local advertising for many businesses. A sponsor is an individual or company who makes a payment to our club in exchange for agreed services or goods that are usually emblazoned with their own logo, such as matchday kits and training gear - including all-weather jackets. Runcorn Linnets FC are a community based FA Club providing quality, fun and safe sports opportunities for young people in the deprived area of Halton. With 300+ boys and girls registered to the club between the ages of 6-18 years old we strive to make a positive impact in our local community. Our aim is to help individuals realise their potential, develop their personal and team skills and confidence with a strong focus on promoting education in young people to make informed healthy life style choices. We welcome financial donation of any size to our 'Child Hardship Fund'. This fund was set up in 2014 to provide some or all support to parents/guardians who are struggling with payment of club subscriptions. This fund elevates parents potentially removing their children from playing football due to their inability to afford to keep up with monthly club subscriptions. This is awarded on an individual case by case basis, we currently have a number of children in the scheme for the 2014/15 season and are still desperately trying to secure extra funding to cover this from bursaries and local businesses as every penny counts. Your charitable donation will go towards providing a child with football training once a week and matches at weekends. 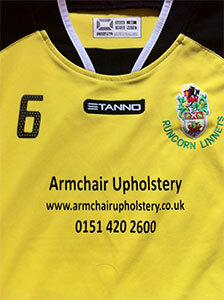 We recognise that all of the businesses that support grass-roots football, do it plainly for ultruistic motives and the help any business offers Runcorn Linnets junior football teams is always greatly received. If you're interested in sponsoring one of our junior teams, an event, a competition or would like to advertise through our website. 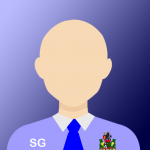 Just contact Coach Stuart Graham, he is the Junior Football Club Treasurer for Runcorn Linnets.